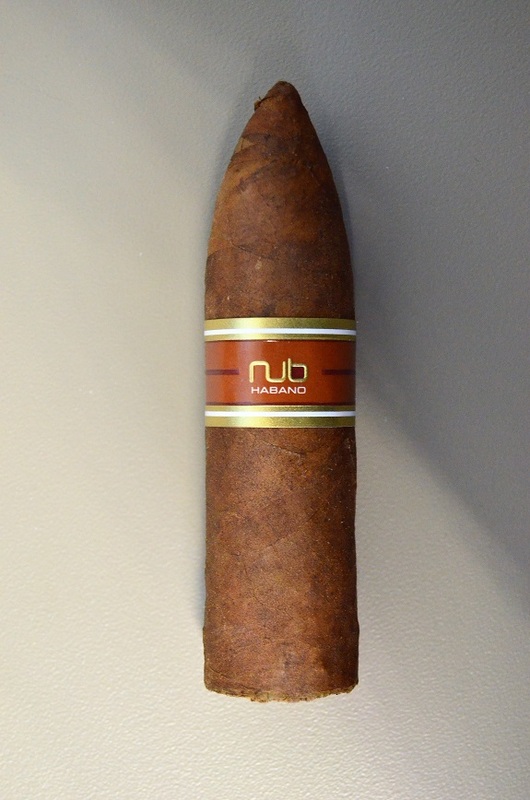 A decade has passed since a short, stubby cigar named Nub by Oliva Cigar Company hit the market with a bang. Created by Sam Leccia, Sales Representative of Oliva Cigar Co. at the time, the Nub brand quickly gained its fair share of fans and critics. Leccia would go on to develop his own self-named brand of cigars and would later be part of Foundry Tobacco Company until his departure in 2016. Sam Leccia isn’t a common name these days, but the Nub brand he played a huge role in building seems to me like it is here to stay for the long run. 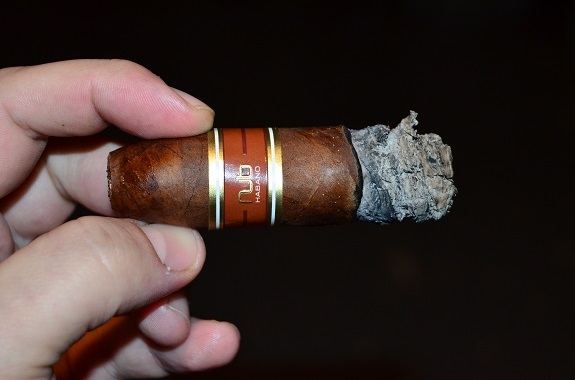 Nub cigars are manufactured in Esteli, Nicaragua and are available in four wrapper options Connecticut, Cameroon, Habano, and Maduro. The Nub Habano utilizes all Nicaraguan tobaccos and comes in four sizes: 358 (3.7 by 58), 460 (4 by 60), 464T (4 by 64 Torpedo), and 466 (4 by 66). You can give the Nub Habano 460 and 464T a try for yourself in the Nub 8-Cigar Sampler from our good friends over at Holt’s Cigar Company. 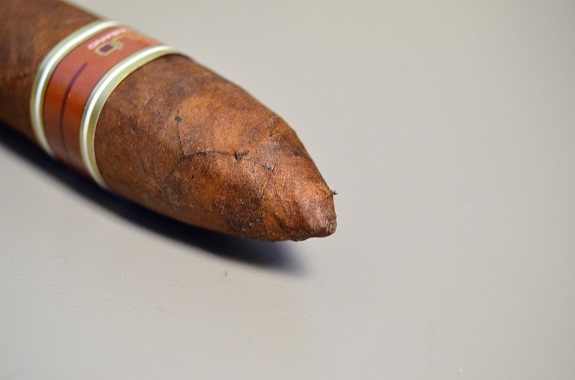 This stubby Nub Habano is draped in a medium brown wrapper with a deep red hue. The veins are mostly small and there are hardly any bumps to be found on the leaf. Light oils are felt as I examine the cigars for soft spots. Overall, the cigar is firmly and evenly rolled. As I bring the wrapper to my nose, I am met with a pungent aroma of vinegar and earth. 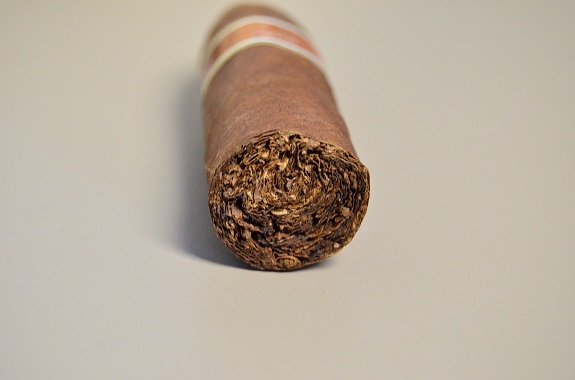 Dirt, cocoa, wood, and dark red fruit are noted on the foot of the cigar. A cut through the tapered head opens up a draw with just the right amount of resistance. There are notes of cedar and cinnamon on the cold draw. The Nub Habano 464T opens with flavors pushing full with a mixture of charred wood and cedar, a hefty pepper spice, and a tobacco sweetness. Charred wood and black coffee linger on the finish of the smoke. The wavy burn is leaving behind a brilliant white, flaky ash. 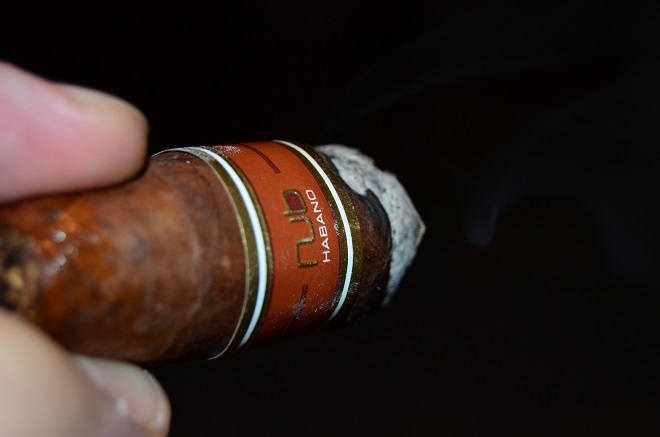 As I move into the second third of the Nub Habano, there is a clear evolution in the flavors. The profile moves to a more nutty and earthy make-up with a touch of cocoa. The spice continues to build as the cigar burns along unevenly. Even with the burn all over the place, the first ash has yet to drop. Into the last third, the sweetness backs off while earth and charred wood are now front and center. As I pass the smoke through my nose, the pepper is at the forefront and I am beginning to feel a hefty nicotine kick. After a quick hit with the lighter at the start of the final third, I encounter no new performance problems. 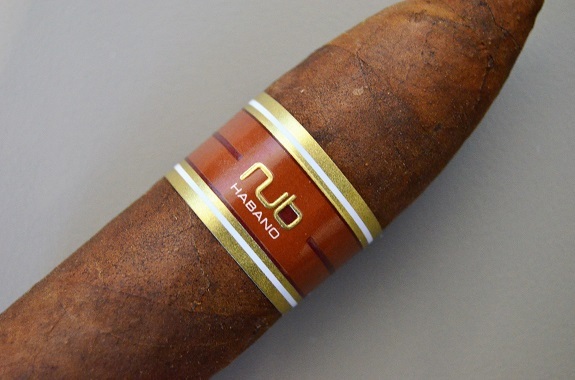 The Nub Habano 464T brings noticeable changes to the table in each third even with its short stature. The flavors remained mostly on the darker side of the spectrum but also delivered some sweetness in the first two thirds to help balance things out. With that said, I wish the sweetness played a more central role. The spice was full and the strength picked up in intensity as the cigar progressed. 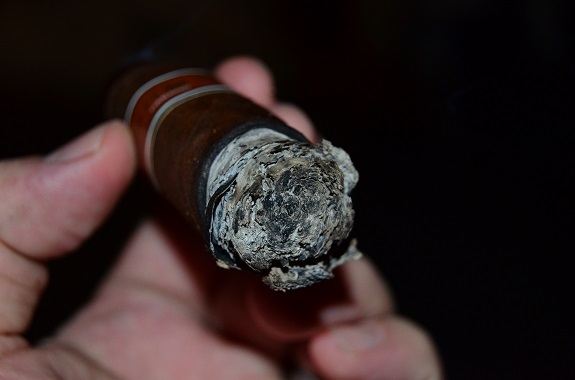 The uneven burn and flaky ash left much to be desired in the performance department, but I am certainly glad the cigar ended on a high note. If this Nicaraguan puro sounds like something up your alley, go visit Holts.com and pick yourself up the Nub 8-Cigar Sampler.